It is said marriages are made in heaven and after going through the chapters of my life, I have to agree that it is true. And as James E Faust said, “In the enriching of marriage, the big things are the little things. There must be constant appreciation for each other and thoughtful demonstration of gratitude. A couple must encourage and help each other grow.” Marriage is a joint quest for the good, the beautiful, and the divine” In my blog, “Blushing Bride” is my most favourite section. 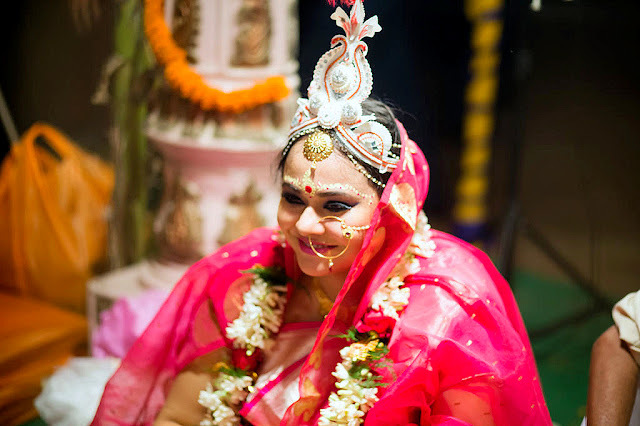 It gives me an immense pleasure to see the brides glow on their special days. The feeling I get while going through their stories, their pictures of blossoming from girl to bride is truly overwhelming. 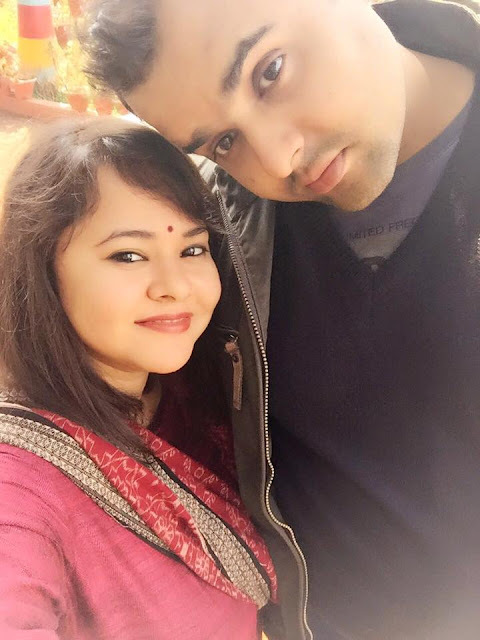 Today, I have a very special person on my “Blushing Brides” section, Priyanka Chakrabarti, who got married on 27th February 2015. She stays in Delhi and had her wedding ceremony back at her home, Durgapur. 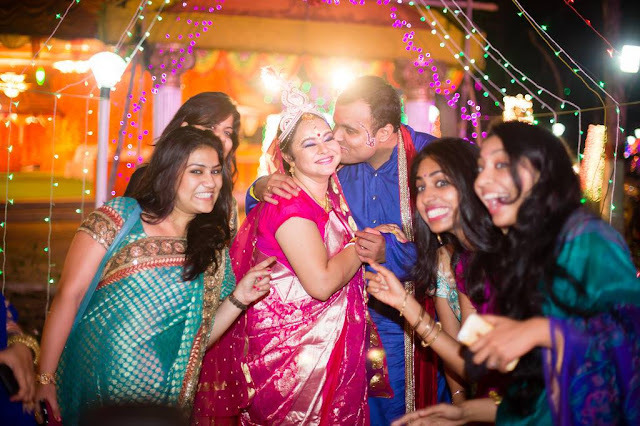 So lots of tips for brides from Delhi, Kolkata and Durgapur. Believe it or not! 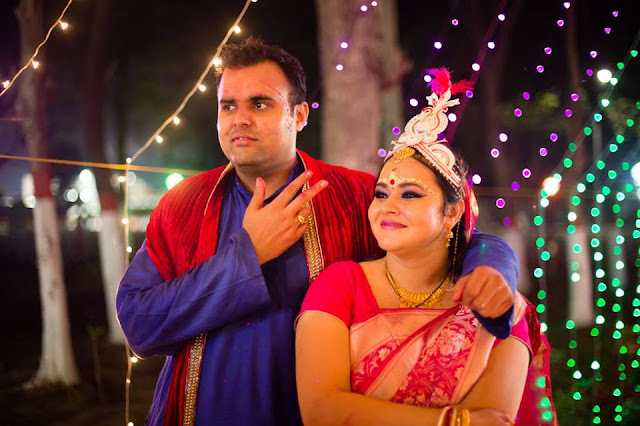 We met at a bar – Turquoise Cottage in South Delhi, back in 2013. I was with my girlfriends, and he was with his gang. We happened to be in the same college. He was pursuing his MBA, and I was in the Mass Communications department. We had seen each other on campus, but we came from two very different worlds! We never spoke a word in college. But, that evening, when we saw each other at the bar, we instantly spoke, exchanged numbers, and the rest is history. He proposed to me on my birthday; it was the best surprise ever! We spoke to our parents post that, and initiated the wedding process. It took us about 6 months to plan the entire thing. But honestly, it was all our parents who did the running around, and shopping, and pretty much everything that you can think of. We barely got time-off from work. I reached home 2 days prior to the wedding, and saw all the shopping my mother had done for the first time! So, you can imagine! Firstly, I didn’t get anything by myself. My mother and mother-in-law did all the shopping. However, my bridal sari was bought from this gorgeous boutique store in Kolkata called ‘Sarang’ at Gariahat. My reception lehenga came from Chandni Chowk, Delhi. Rest of the trousseau stuff came from Meena Bazaar, Frontier Raas, Simaaya and Adi Mohini Mohan Kanjilal. 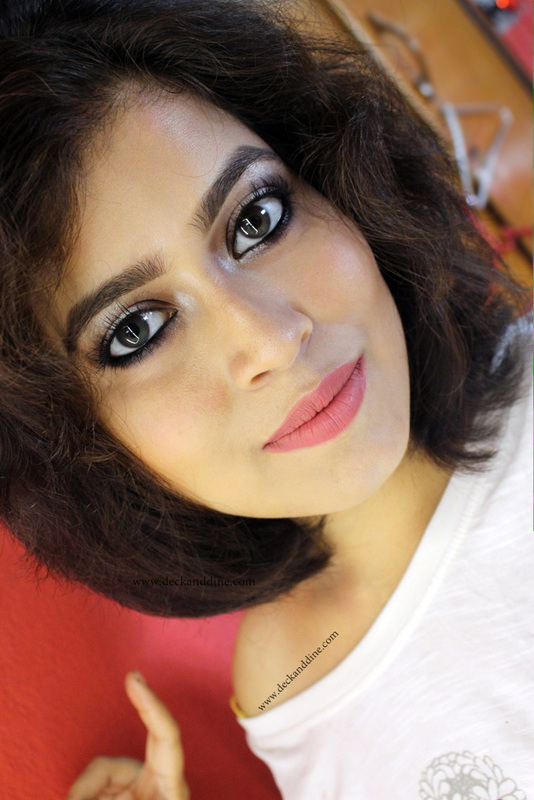 As far as accessories are concerned, they were all from Tanishq and PC Chandra Jewelers. 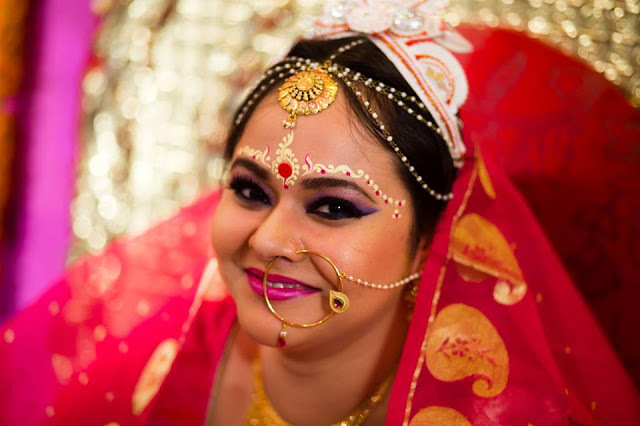 Hair and makeup for the wedding was done by a local makeup artist named Shona from Durgapur. And, for the reception, I had Lakme working on me. I didn’t like their work too much, so I would rather ignore this question. To be honest, I was hardly involved in my wedding planning (which I regret today). I was too busy with work. 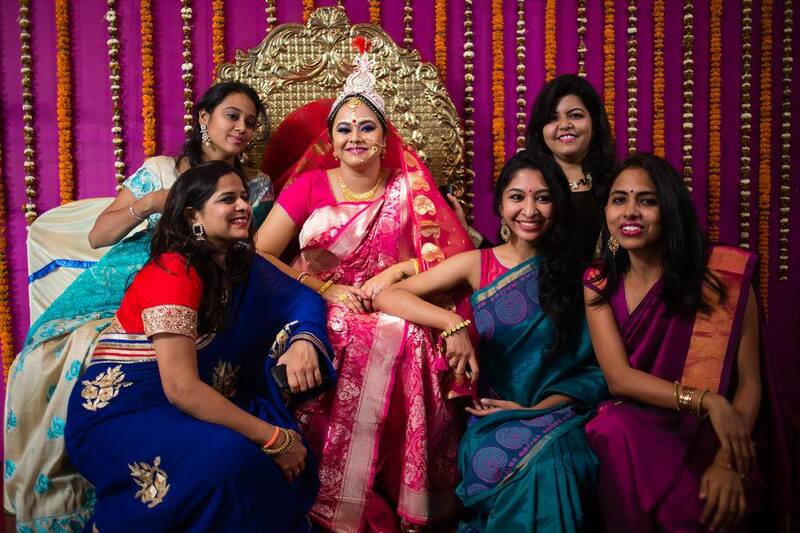 Nonetheless, when I saw myself all decked up as a bride, I felt so overwhelmed. Wedding was never a fairytale to me, but life after that always fascinated me. 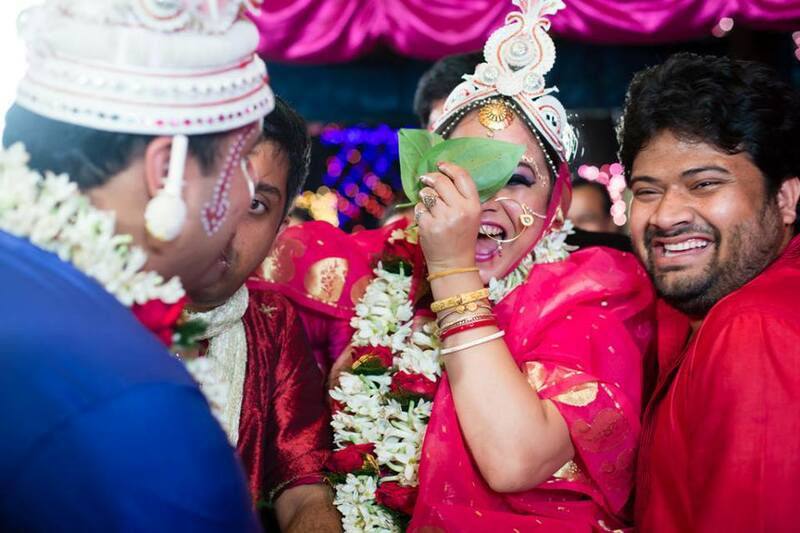 When me and Saumitra (my husband) saw each other at the mandap, we laughed. It was so unreal, but we knew its happening – a life of togetherness. Ever since that day, many things have changed, but the laughter remained constant. We make each other very happy, and when I recall my wedding day, every moment seems so cherished. Don’t let the ELLEs and Vogue’s of the world define your perfect wedding. Fairytale wedding is just the tip of the iceberg; life after wedding is the real deal. Be relaxed on your big day, don’t fuss out on detailing (as a bride, it’s not your job; just enjoy the attention and pampering), be comfortable in your outfit and jewellery. Don’t let your friends put alcohol in your system before the ceremony. Trust me, later you will realize what you’ve missed out on being tipsy. Marriage is a lifetime of a deal. You don’t want to start your beautiful life, not understanding half the things. Loved all of her looks. From her wedding trousseau to her choice of jewelry, everything was perfect and she looked so beautiful, happy and content.